The Wheaton Hills Civic Association (WHCA) seeks to improve the health, beauty, and safety of its community and the surrounding area. Formed in 2014, WHCA represents over 1,100 homes and 3,500 residents in the heart of Wheaton, Maryland. The growth and revitalization of Wheaton Hills will help move Montgomery County forward. Join us in this effort! Pick up the Saturday, June 30 print edition of the Washington Post for the Real Estate section article about the neighborhood! 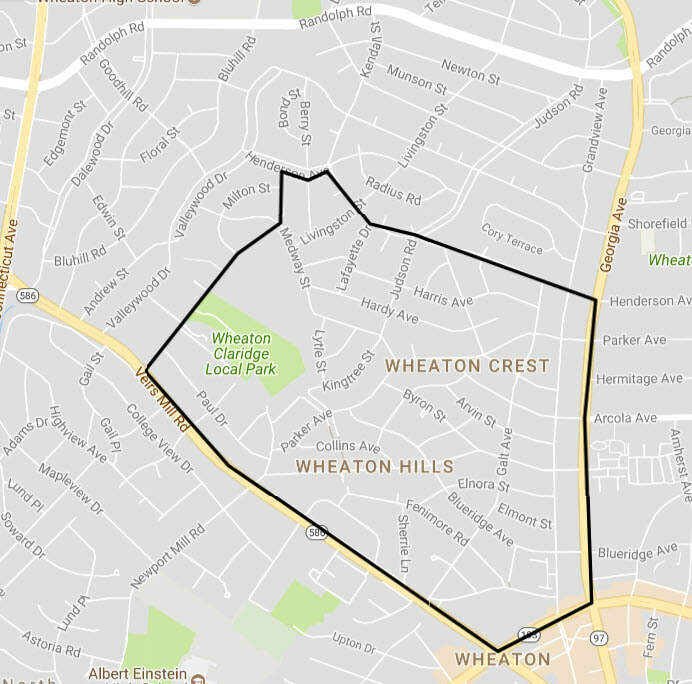 If you live within the Wheaton Hills neighborhood, your household is encouraged to ﻿join﻿ the Wheaton Hills Civic Association as an Active Member. As an Active Member, you can help make our neighborhood a better place to live. Neighborhood Clean Up! April 13, 2019 @ 10 AM! Join us at Parker Avenue and Broadview Road between 10AM and 12PM to take part in the Spring Cleaning! Community Meeting! April 25, 2019 @ 7:00 PM! Join us at Highland Elementary for updates on important projects in and around Wheaton Hills. We'll hear from the University of Maryland on their stormwater management recommendations, from the Department of Environmental Protection on a mural project, and other topics! Details coming soon!